Twice as much BOOT scootin’ fun! All NEW music, All NEW moves and this time, you get to SING ALONG!! 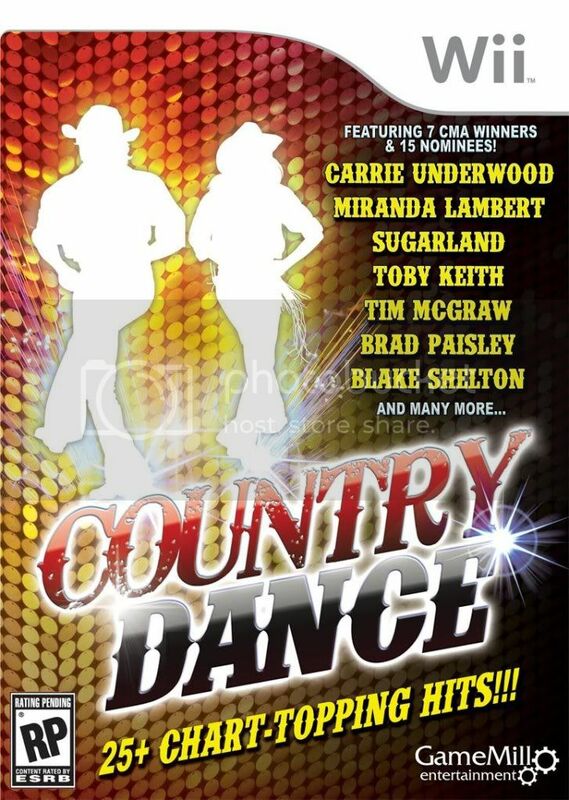 Country Dance has set the bar for all dance games with over 18 CMA award winning artists – and now that list has grown to 30+ songs featuring today’s hottest artists and their NEW HIT SONGS! Country Dance 2 features over 30 of today’s hottest country tracks from chart-topping artists like George Strait, Blake Shelton, Carrie Underwood, Miranda Lambert, Easton Corbin, Billy Currington, Eric Church, Little Big Town, Montgomery Gentry, and many, many more. •Dance and sing along to your favorite songs from country’s biggest artists with 4 super-cool game modes! •Supports up to four players at once through all new duet dancing option, featuring unique choreography for each player during the same song. Country Dance 2 for Wii is out in stores now . Country Dance 2 is available exclusively for Wii™ for the suggested retail price of $39.99, and is rated “E10+” by the ESRB. Like us on Facebook at http://www.facebook.com/CountryDanceGame. Follow us on Twitter @Country_Dance. For more information about Country Dance 2 or the Country Dance franchise, please visit: www.game-mill.com. I am not a big country music fan but once in a while I listen to country music and I do have a few singers and bands that I really enjoy listening to. I am not really into dancing but I love the Just Dance games so I decided to try out this game and review it on Geeky Girl Reviews. This game is fun and like any other dancing games out there there are easy dancing and harder dances so as you get a little bit of a challenge when you play this. Personally I am horrible at dancing but I sometimes like it (in the comfort of my own home) because it relieves stress plus of course it is a fun way to burn calories. Anyways even though I am not a huge country music fan there were a few songs on there that I know and this game is quite fun for the family. I think you might enjoy this game if you are a fan of country music and you love dancing games.